Travel to one of Africa's largest game parks to witness a utopia of unspoilt wilderness. 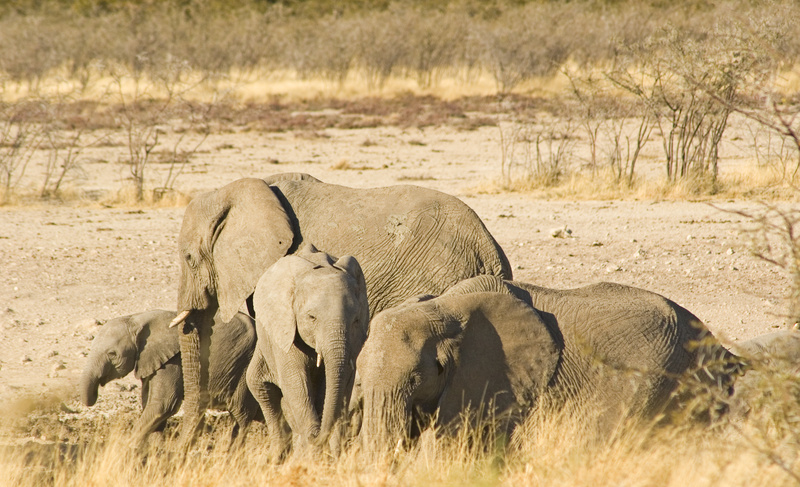 Unlike other African wildlife experiences, Etosha brings the animals to you. This phenomenal game viewing experience near the waterholes and natural springs is definitely one of the most unique in Africa! On arrival at Hosea Kutako (Windhoek) International Airport, proceed to your hotel in Windhoek. Windhoek is the country's capital and a bustling metropolis. It was once a German territory and the German presence can be strongly felt in the food, restaurants and architectural style. 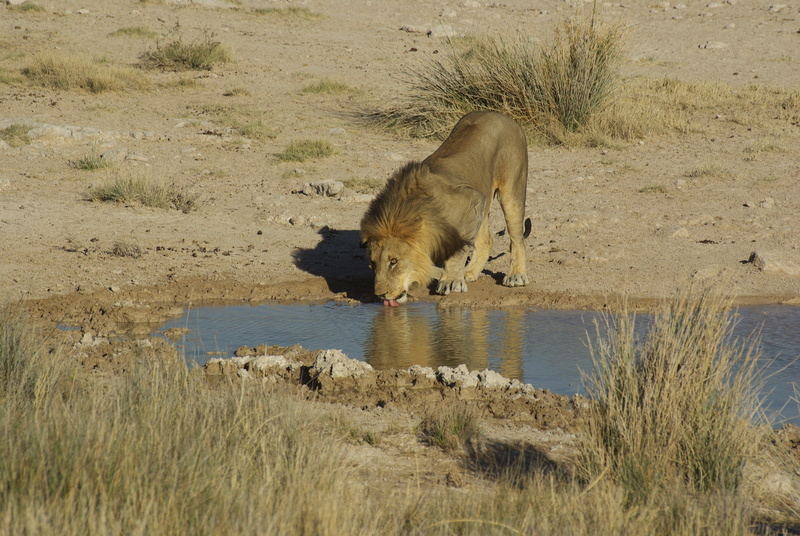 After breakfast at the hotel, check-out and be transferred to Etosha National Park. We aim to arrive at the resort late in the afternoon for a game drive around Fisher’s Pan and scenic Twee Palms in search of elephants, rhino, zebra and other game species. Fisher’s Pan is also a hotspot for birders. Return to the camp before sunset and enjoy a scrumptious dinner. Etosha National Park is one of Africa’s great wildlife parks and Namibia’s prime wildlife conservation area.Spanning over 22,000 km², it consists mostly of grassy plains around a huge saltpan, which becomes a beautiful lake after heavy rains and attracts large flocks of pink candy-flossed-coloured flamingos. 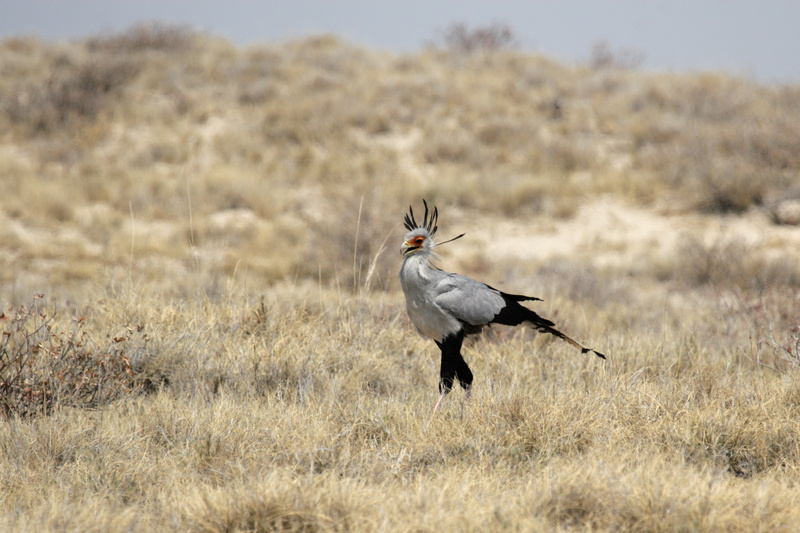 Etosha hosts a vast array of animals, including the Big Five as well as giraffes and rare and unusual species like the black-faced impala, Hartmann’s mountain zebra or the smallest antelope in the world, the Damara dik-dik. Distance: 600 km on tarred road and 50 km on gravel roads (Approximately 6 to 7 hours drive). This morning, after breakfast, visit the Eastern and Northern trails and regions near King Nehale Gate situated in North-Eastern Etosha. Continue your game viewing experience at Etosha spotting lions, hyena, plain game like zebra, kudu, oryx, wildebeest, giraffe, springbok, impala and eland and maybe even a herd of elephants! In the afternoon, explore the region towards Okerfontein and Batia waterholes. After this game drive, return to the resort before sunset. After dinner, in the evening, enjoy views of a flood-lit waterhole. Etosha park features many springs and waterholes which provide excellent game viewing and fantastic, photographic opportunities! The resort features a scenic, flood-lit waterhole, frequently visited by animals. Distance: Around 250 km on gravel routes of Etosha. Today, after breakfast, visit Namutoni Resort’s waterhole before proceeding to Halali Resort. Halali Resort is located in the central region of Etosha at the base of a dolomite hill. The thick vegetation near the resort is a popular draw to leopards, rhinos and elephants. En route to Halali Resort, visit a natural spring at Goas, frequented by lions and hyenas. After checking-in to the resort, go on a game drive in the afternoon to the panoramic Rietfontein waterhole to spot eland and rhinos. Return to the resort before sunset and after dinner, enjoy evening wildlife viewing at the Moringa waterhole situated near the resort. This waterhole is famous for nocturnal visitors who come here for a drink including elephants, black rhino and hyenas. Distance: Around 150 km on gravel roads. This morning, enjoy breakfast at the resort and set out to explore the central region of Etosha National Park, at the heart of Etosha, between Batia and Sueda waterholes. Visit the beautiful Etosha Lookout point, which is located 3 km into the Etosha Pan. Return to the resort where you can have lunch, a brief siesta, and visit the resort’s waterhole. Later in the afternoon, explore the remaining central region, going as far as the Okerfontein natural spring and Batia waterhole. Return to the resort before sunset and after a hearty dinner, spend time spotting wildlife at the waterhole. After breakfast, go on one last visit to the Moringa waterhole. Later, proceed to Okaukuejo Resort, famous for its spectacular waterhole and exquisite wildlife sightings. The gravel road takes you to the edge of Etosha Pan, which is a large endorheic salt pan, forming part of the Kalahari Basin. En route, pass by waterholes and various viewpoints along Etosha’s Pan and areas surrounding Okaukuejo Resort such as Homob, Ondongab and panoramic Nebrownii. On arrival, in the afternoon, visit waterholes surrounding the Okaukuejo Resort, such as Gemsbokvlakte, Olifantsbad, Nebrownii and picturesque Ombika, frequently visited by lions. In the evening, before sunset, return to the camp for dinner and enjoy evening wildlife viewing at the camp’s impressive, flood-lit waterhole. Early in the morning, after breakfast at the resort, explore Okondeka and Adamax, located north of Okaukuejo Resort. Okondeka, is a natural spring, right at the western edge of the pan and it is famous for lions sighting, traversing, lone giraffes, large herds of migratory zebras, wildebeest and springboks. This visit gives you a wonderful photographic opportunity to capture the vast expanse of the Etosha Pan! Continue on western trails of the park. You can opt to enjoy lunch at one of the waterholes (Optional – Packed lunch cost is not included). Continue visiting waterholes situated right next to the main western route. Return before sunset for dinner, and later experience the night-time viewing at the flood-lit waterhole to spot elephants, giraffes, black rhino, jackals, lions and a variety of antelopes that visit till late at night. After breakfast, go on one last visit to the resort’s waterhole and proceed towards Andersson’s Gate, with a short visit to picturesque Ombika waterhole, visited by lions, giraffes and greater kudu antelope. Later, be transferred to the airport for your departure flight home. Distance: Around 450 km on gravel and tar roads.